International Executive Coach & ICC Certified Trainer. Maria Bruederlin sparks the desire for transformation, empowerment and leadership; she is a natural leader, advocate for diversity, intuitive coach and a catalyst for leaders ready to bring mindfulness into their organizations. Maria is the co-founder of Impact Coaching Solutions in the U.S.A. She is an International Executive Coach, ICC Certified Trainer and Personalysis Certified Practitioner. She has a lifetime of experience both professionally and personally with organizations, diversity and transition. “It’s all in the delivery” is the motto she uses to teach your organization that our nonverbal communication is as important as the verbal, ”if we pay close attention to our communication we can influence our outcomes professionally and personally.” This is one of the ways she brings higher performance to groups and individuals. Her passion for community, responsive observation, intuitiveness and disarming sense of humor has helped her move forward and through obstacles throughout her life. The key lessons from those journeys are the gems and treasures she brings to her clients with applicable tools for success. She creates awareness, develops leadership, and teaches skills that bring a positive shift in the professional and personal lives of women and men, and in the results of their organizations. 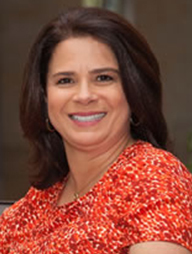 Along with her partner, Guillermo Mendoza, they deliver leadership and coaching certification programs, executive coaching sessions and keynote presentations to accelerate leadership and transform lives.